I’m happy to share with you another set of functional planner stickers: free printable Playdate planner stickers. This printable idea was suggested by Lisa, one of Lovely Planner’s readers. 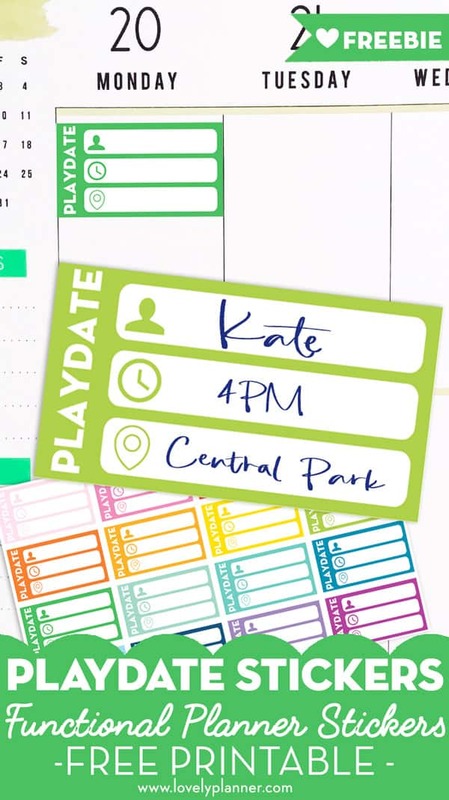 If you’re a Mum, these playdate stickers will be perfect to remind you of your little ones playdates, help you organize your days and keep track of all the important informations. 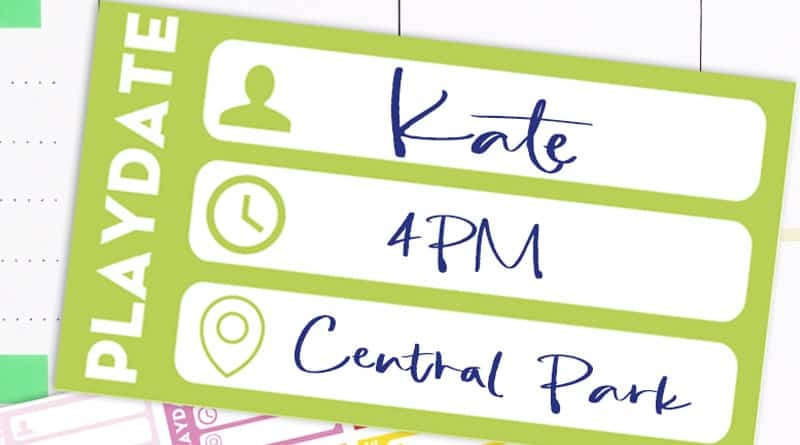 I left space for you to write down 3 types of info about your playdate: with who, what time and where is it taking place? I hope these playdate planner stickers will be useful in your busy Mom life. I’ve planned on adapting this stickers set for other types of appointments so keep your eyes peeled, and make sure to subscribe to the Lovely Newsletter if you want to stay in the loop. This free printable includes 35 individual stickers on one sheet, in 16 vibrant rainbow colors. Exactly what we needed! Thank you so much. These bright colours should definitely keep us from missing my quickly scribbled notes on those busy days.